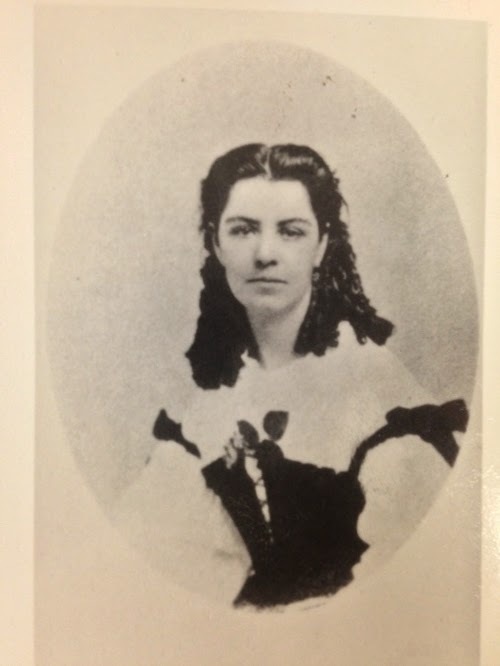 Ina Coolbrith came to San Francisco at age 21 in the middle of the Civil War. On Christmas Eve 1863, she sat in her Russian Hill parlor as the rest of her family slept and the clock on the mantel kept time with her "midnight thought." Ina was a Union girl, but that wasn't a given in California. One year earlier she had lived in Los Angeles where Union troops drilled in the streets to quell Confederate sympathizers. After she moved to San Francisco she showed allegiance to the Union by attending a festival organized by Thomas Starr King, the minister of the First Unitarian Church who was known as the orator who saved the nation. A message of death and despair. Be clasped in love, once more! Fifty-two years later Ina Coolbrith was crowned California’s first poet laureate during the Panama Pacific International Exposition, an honor that made her the first state laureate in the nation. 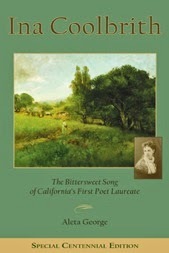 Check back soon for order information on Ina Coolbrith: The Bittersweet Song of California's First Poet Laureate. To commemorate Ina Coolbrith's centennial of being crowned California's first poet laureate at the Panama-Pacific International Exposition, I am printing a special centennial hardcover edition of my new biography, Ina Coolbrith: The Bittersweet Song of California’s First Poet Laureate. This signed, case-bound book with a full color dust jacket and centennial banner is only available if you pre-order the book on Indiegogo before February 7, 2015. It will be mailed in March 2015. A paperback edition will also be available in March 2015, but this is the only time this collectable edition will be offered. I have a few copies of the special centennial edition remaining. I will be selling them at upcoming events only. Go to inacoolbrith.com for event listings.